It is not plausible to foresee any other outcome of left-wing normalization of the terms "Nazi" and "white supremacist." The American left has put itself in a moral quandary: Either it doesn't mean it when it calls the president and his supporters Nazis, in which the case it is merely guilty of cheapening -- and, as I explained in my previous column, actually denying -- the Holocaust, or it doesn't mean it, in which case morality demands it take violent action against Trump supporters. For at least a decade, I have been saying that America is fighting a second Civil War. But I have always added that unlike the first Civil War, this one -- thank God -- is nonviolent. It's getting harder and harder to assume it will stay that way. Left-wing mobs yell and chant "No justice, no sleep" in front of the homes of administration officials. 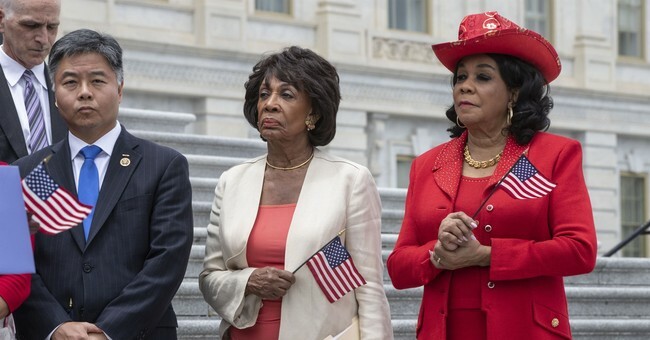 A Democratic Congresswoman, Maxine Waters, foments such action. "Let's make sure," she tells Democratic mobs, "we show up wherever we have to show up. And if you see anybody from that Cabinet in a restaurant, in a department store, at a gasoline station, you get out and you create a crowd. And you push back on them. And you tell them they're not welcome anymore, anywhere." The Democratic Party labels political opposition to the president "Resistance," the term used to describe the opposition to the Nazis during World War II. All these are only the beginning. Few violent movements begin with violence. And when the left sees that these tactics do not undo the last presidential election, some morally consistent leftists could quite possibly take the obvious next step and start targeting Republicans -- as the shooter of Republican Rep. Steve Scalise and four others did. As one liberal writer, Peter Beinart of the Atlantic, asked nearly a year ago, "If you believe the president of the United States is leading a racist, fascist movement that threatens the rights, if not the lives, of vulnerable minorities, how far are you willing to go to stop it?" When conservatives -- even one as critical of the president as Ben Shapiro -- need the protection of bodyguards and police officers in riot gear when speaking on an American college campus, it is clear where we are headed. You can get an idea by watching what students did to biology professor Dr. Bret Weinstein, perhaps the only decent faculty member at Evergreen State University, because he refused to cooperate when left-wing students demanded that all whites leave the university campus for a day. Some months later, Weinstein was told by the left-wing university administration it "could no longer guarantee his safety." Weinstein then left Evergreen State for good. In March 2017, Charles Murray's scheduled speech at Middlebury College was preempted by a violent left-wing mob, resulting in police escorting him off the campus. In the process, his interviewer, professor Allison Stanger, was injured by enraged leftist thugs, and she later ended up in a neck brace. I pray violence does not erupt in America. But if, God forbid, it does, let's be clear it was the left that started it, just as surely as the South's firing at Fort Sumter started the first Civil War.